NTA has released the detailed schedule for NEET, JEE Main, UGC NET, CMAT, and GPAT. 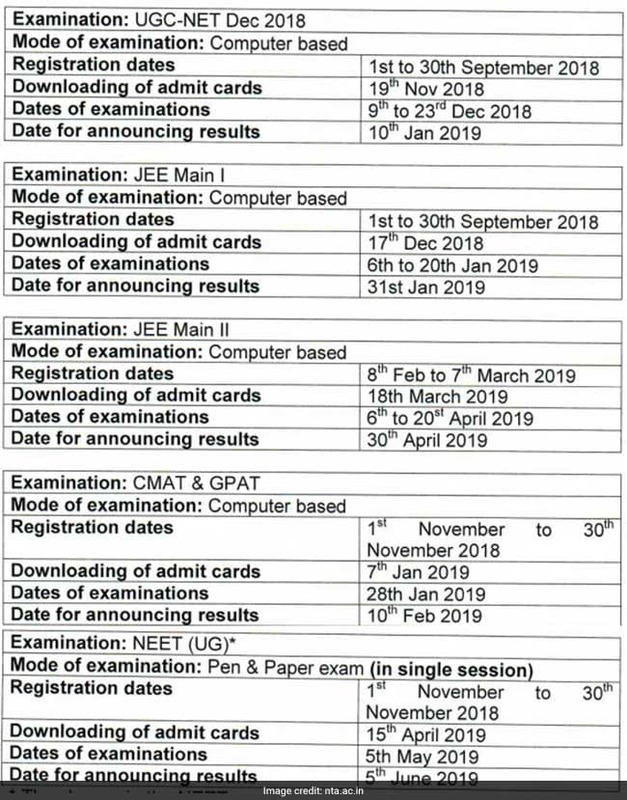 National Testing Agency, today, released the detailed schedule for UGC NET December 2018, JEE Main I, JEE Main II, NEET, CMAT, and GPAT. While, JEE Main will be conducted twice a year, the agency will be conducting NEET only once and the mode for NEET UG exam will remain offline. The number of languages in which NEET is conducted will also remain the same as last year. 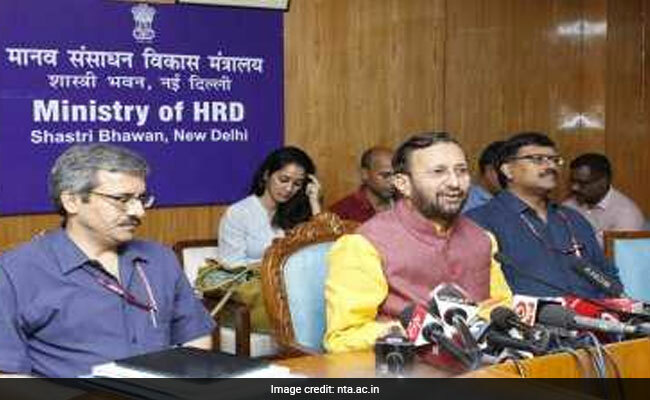 Earlier the HRD Ministry had said that JEE Main as well as NEET UG will be conducted twice a year and the best of two score will be used to prepare merit list of candidates. There were also plans to change the mode of NEET to online. However, the Ministry has decided to hold NEET only once and in offline mode upon request from the Ministry of Health and Family Welfare, who wanted the same pattern followed last year to be maintained. From December onwards, UGC NET will be conducted as a computer-based test. The registration process for UGC NET will be conducted form September 1 to September 30. Exam will be conducted from December 9 to December 23, 2018 in multiple sessions. The registration for JEE Main I exam will begin on September 1 and end on September 30, 2018. The exam will be conducted from January 6 to January 20, 2018 in multiple sessions. Registration for JEE Main II will begin from February 8 and end on March 7, 2018. Examination will be conducted from April 6 to April 20, 2018. Registration for CMAT and GPAT will begin from November 1 and end on November 30, 2018. Examination will be conducted on January 28, 2018. The registration process for NEET UG will begin on November 1 and end on November 30, 2018 and the exam will be conducted on May 5, 2018.